UPDATE (2/20): This campaign has closed! Thank you all for your generous donations! 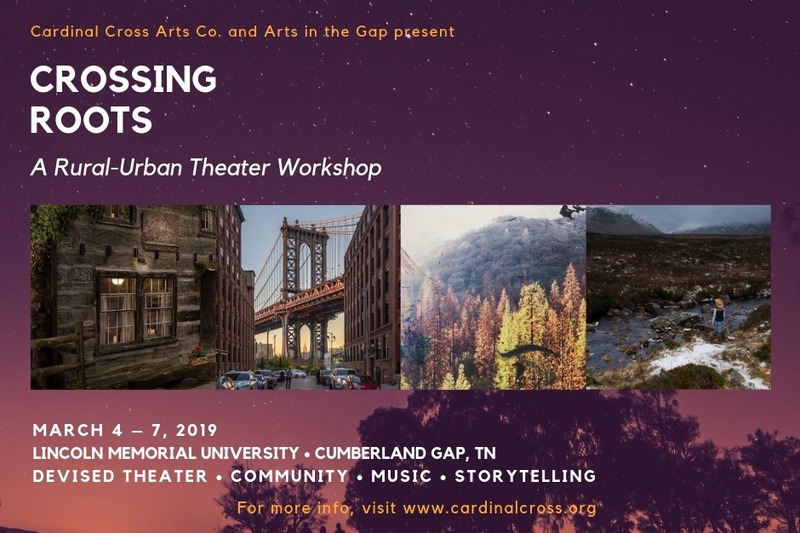 In March 2019, Kentucky-based artists Amy Brooks and Hilarie Spangler – aka Cardinal Cross Arts Co . – will partner with Lincoln Memorial University’s Arts in the Gap program to produce Crossing Roots, a 3-day theater workshop and intercultural exchange in Cumberland Gap, TN; Whitesburg, KY, and other central Appalachian cultural sites. Crossing Roots will feature devised theater-making sessions led by members of Brooklyn ensemble Theater of the Emerging American Moment (or The TEAM) and performers from the National Theatre of Scotland, as well as Appalachian and Southern artists. The TEAM and NTS actors will kick off the week with an intimate “pub” version of "Anything That Gives Off Light," their 2016 Edinburgh Festival Fringe breakout hit originally directed by Rachel Chavkin ("Natasha, Pierre & the Great Comet of 1812"), at a ticketed public event on the LMU campus. The play’s intercultural themes, experimental form, and high-voltage musical backbone will serve as a framework for the 3 days of theater-making and community immersion to follow. 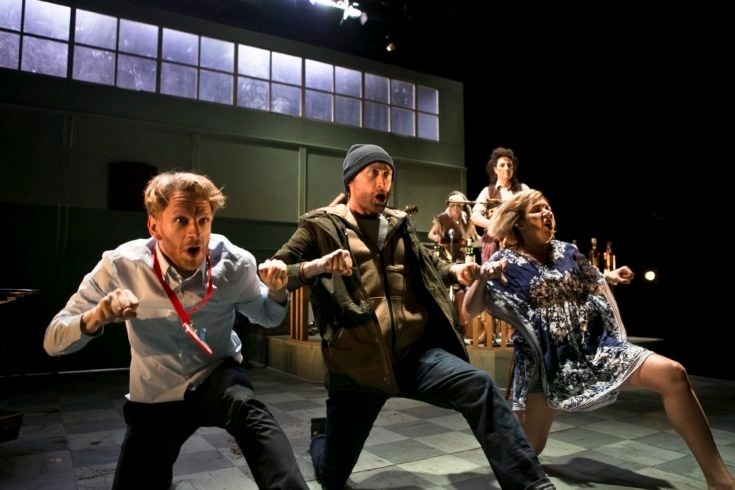 Crossing Roots will build upon a three-year relationship between New York-based ensemble The TEAM, the National Theatre of Scotland, and the community-based artists of eastern Kentucky, eastern Tennessee, and southwestern Virginia. It was in these hills, among such coalfield artists, that The TEAM first conducted its 2016 research tour for "Anything That Gives Off Light," which examines Appalachian-American and Scottish national myths. The play was created from a series of talks with people across Virginia, West Virginia, and Kentucky – interviews with mountain people as far-ranging as conservative and libertarian "land-grant" farmers and a 70+ year old community organizer and cultural worker who has been fighting racism, capitalism, and the coal industry his entire life. Workshop sessions will be interspersed with a broad range of local cultural immersion, site visits, social activities, and community events, including a meal hosted by LEE Award-winning Vietnamese-Appalachian chef and Amity Foodworks founder AuCo Lai; a public musical meet-and-greet for Cumberland Gap residents and Lincoln Memorial University students, faculty, and staff; a story circle with members of the eastern Kentucky organizing group the Letcher County Culture Hub ; and a day working with the media makers of grassroots arts and cultural center Appalshop . 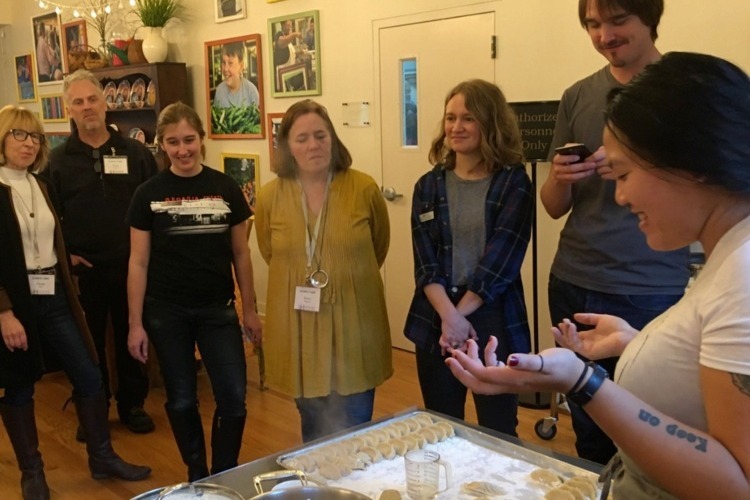 YOUR SUPPORT CONNECTS RURAL AND URBAN ARTISTS! 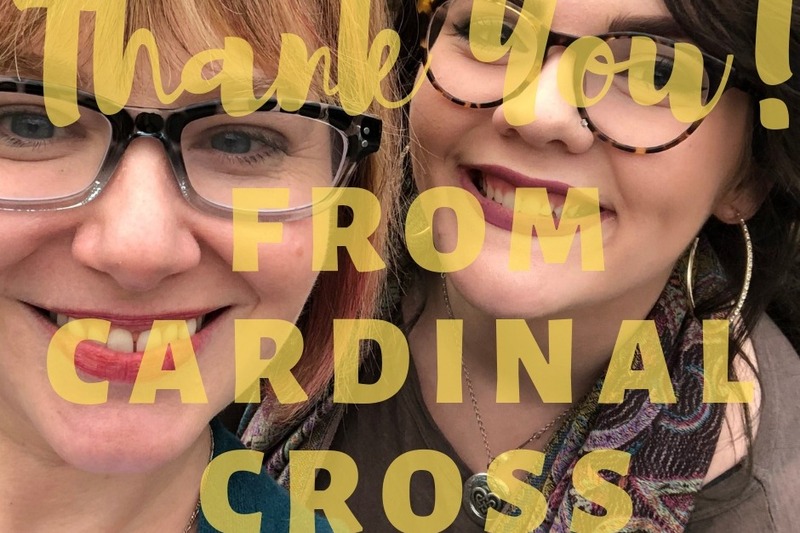 We'll be honest: projects this boundary-breaking aren't widely funded in the nonprofit arts world, where less than 2% of annual foundation funding goes to rural artists; and pennies on the dollar trickle down to social justice-driven companies like Cardinal Cross. Each workshop partner (e.g., Cardinal Cross, The TEAM, Arts in the Gap) is fundraising independently to finance this collaboration. Your $2,000 will – along with the generous support of organizations like The Kentucky Foundation For Women and Literary Managers and Dramaturgs of the Americas – directly benefit the portions of Crossing Roots currently without major donors or large-scale institutional support...making your generosity doubly valuable to the hard working, transgressive women and female-identifying artists of central Appalachia. BIG NEWS! We've passed our original goal of $1,000 with nearly a month to spare! Thank you all so much for the generosity and solidarity you've shown.